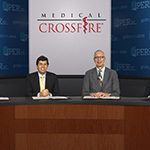 During this Medical Crossfire®, a panel of leading cardiologists and lipid specialists will review the latest indications for PCSK9 inhibitors along with the updated ACC Expert Consensus and National Lipid Association Expert Panel Recommendations incorporating nonstatin therapies into clinical practice. Recent clinical trial data for evolocumab and alirocumab will be reviewed. A brief summary of the FOURIER trial will lead into analysis of new data that identifies high-risk subgroups that demonstrated treatment benefits. ODYSSEY OUTCOMES will be reviewed and the clinical implications of that data will be put it into context with FOURIER results. The final segment will focus on barriers that have prevented the uptake of PCSK9 inhibitors into clinical practice. 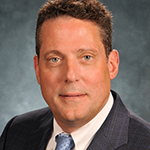 The panelists will share practical and effective strategies for increasing prior authorization approval rates as well as the need for education on the benefits of nonstatin therapy for both prescribing clinicians and patients. This CME activity is primarily intended for lipidologists and cardiologists. Nurses, physician assistants, and other health care professionals interested in the treatment of hypercholesterolemia are also invited to participate. The staff of Physicians' Education Resource®, LLC have no relevant financial relationships with commercial interests. Physicians' Education Resource®, LLC designates this enduring material for a maximum of 1.5 AMA PRA Category 1 Credits™ and for 1.5 contact hours for nurses. Physicians should claim only the credit commensurate with the extent of their participation in the activity.